If you are keen to have you teeth straightened but don't like the thought of having to wear traditional "train track" braces, then Invisalign® could offer you a viable and proven alternative. 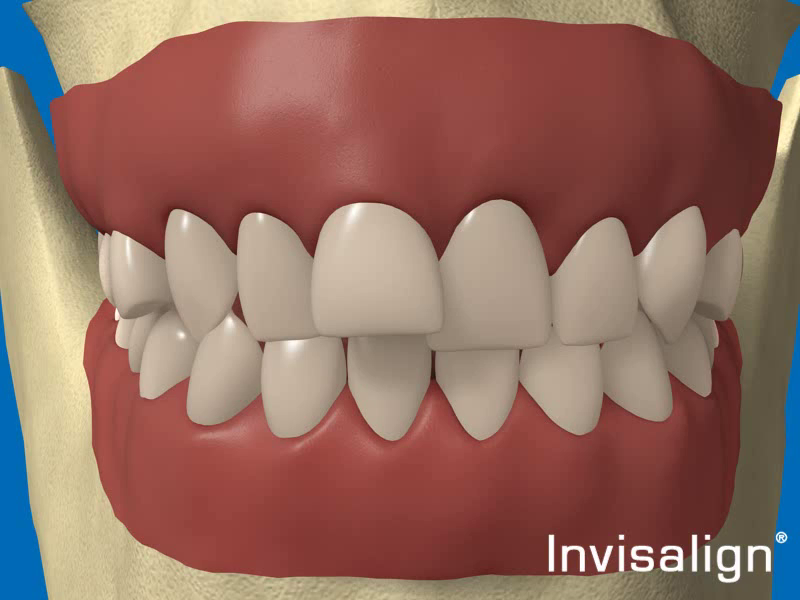 An innovative system incorporating a series of custom-made clear plastic aligners, Invisalign aligners straighten teeth effectively, yet are virtually invisible. Once you are happy with the projected result seen in the Clincheck® the aligners will be shipped to the practice from the USA. You will need to wear each pair of aligners for a 1-2 weeks before moving on to the next aligners in the sequence. It is important to wear them during the day and night and for between 22-24 hours each day to ensure the best results. After finishing your treatment plan, retainers will be required to maintain your new smile.